Who has Sovereignty in the South China Sea? In 1949, Communist troops led by Mao Zedong defeated the Nationalist forces led by Jiang Jieshi (Chiang Kai-shek). The Guomindang (KMT) escaped across the Taiwan Strait to the island of Taiwan. The United States continued to recognize the KMT as the government of all China and pledged the US 7th fleet to the so-called defense of Taiwan. With that policy, the United States effectively intervened in the Chinese civil war with the declared aim to to prevent the reintegration of all China under a Communist government. To this day, Taiwan stands as a poignant reminder that military weakness has rendered China unwhole. In the intervening decades, China has made enormous developmental strides. China is the world’s largest economy in terms of PPP. It holds $1.3 trillion in US treasury bills, helping to prop up the US economy. China has launched humans into space. At home, the Communist Party has pulled over 600 million Chinese people out of poverty and seeks to eradicate all poverty by the year 2020. Recently news regarding sovereignty over the South China Sea has become more and more prominent. The US has dispatched warships to the area. Anyone who eyeballs a map of the South China Sea and reaches a conclusion solely on proximity to the nearest major landmass, can’t help but find that many of the reefs, cays, islets, and tiny islands belong to a number of countries in the region. Unsurprisingly, a number of countries have made claims to the tiny islands and reefs in the South China Sea. China, however, claims sovereignty for the entirety of the South China Sea, a sovereignty that preceded UNCLOS (United Nations Convention on the Law of the Sea). China argues that history has conferred it sovereignty and maritime rights. Chinaclaims its activities in the South China Sea date back to over 2,000 years ago. China has been the first to discover, name and develop the group of islands in the South China Sea, which have been known as the Nanhai Islands in China. For centuries, the Chinese government had been the administrator of the islands by putting them under the administration of local governments, conducting military patrols and providing rescue services.The Nansha [Spratly] and Xisha [Paracel] Islands, occupied by Japan during World War II, were returned to China as part of the territories stolen from China. This has been clearly set out in international documents such as the Cairo Declaration and the Potsdam Proclamation. China sent government and military officials to recover the islands and deployed troops there. It has been widely recognised by the international community that the Nansha Islands and the adjacent waters belong to China, and no country ever challenged this during a long course of history. It was only since the 1960s and 1970s, especially after the discovery of abundant oil reserves in the Nansha waters and the coming into being of the United Nations Convention on the Law of the Sea (UNCLOS), that some countries in the region illegally occupied 42 of China’s islands and reefs as part of the Nansha Islands in violation of the charter and fundamental principles of governing international relations. Of the many conceivable contingencies involving an armed clash in the South China Sea, three especially threaten U.S. interests and could potentially prompt the United States to use force. If nations in the South China Sea lose confidence in the United States to serve as the principal regional security guarantor, they could embark on costly and potentially destabilizing arms buildups to compensate or, alternatively, become more accommodating to the demands of a powerful China. Neither would be in the U.S. interest. China also prioritizes freedom and safety of navigation, peace, and prosperity in the South China Sea. It does not, however, accept the right of foreign warships to operate without its approval in what it considers are its territorial waters or EEZ. If China engaged in military surveillance and maneuvers in the Florida Strait between Florida and Cuba, how would the US respond? Surely many Americans and politicians in the Beltway would be upset at a Chinese military presence nearby. If one dismisses historical evidence of cartography and usage and only employs the eyeball test to judge the issue, then it seems only fair to use such a technique to judge other territorial and sovereignty disputes. As a starting point, China is a country inhabited by Chinese people for millennia (setting aside the complexities of Tibet). The United States, on the contrary, is a country formed by Europeans (mainly Brits) wreaking genocide on the Original Peoples and dispossessing them of the land; warring against Mexico to grab most of California, Utah, Nevada, Arizona, and New Mexico; purchasing Alaska from Russia (without questioning Russia’s sovereign claim to Alaska). Then, in 1893, the US overthrew the Hawaiian monarchy and annexed the islands, 3500 km (2200 miles) from the continental US. And what about the far-flung US-administered territories of Guam, other Micronesian islands, Puerto Rico, and Guantanamo Bay in Cuba? How is it that the US and its G7 allies – all of who are former/current colonizers – can intervene with an iota of integrity on the dispute in the South China Sea? The US has a sordid history of aggression with South China Sea countries, but sometimes the enemy of an enemy becomes a friend. 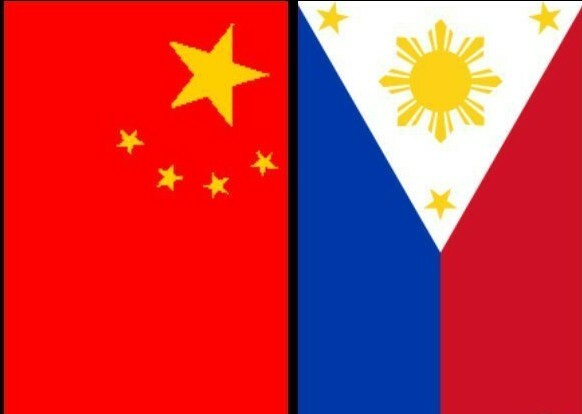 Hence the Philippines and Viet Nam consort with the US regarding the South China Sea. The Philippines has sought arbitration under UNCLOS. China opposes international arbitration and seeks bilateral settlements. The US (which has not ratified UNCLOS) insists on China respecting international law and has backed the Philippines seeking international arbitration. One wonders what the world would be like if the US insisted on Israel adhering to international law or, for that matter, that itself, the US, respect international law. The US rejected the 1986 World Court judgment against the US of unlawful use of force in Nicaragua. … definitely China was not the first country to deploy weapons or conduct military manoeuvres in the region, rather China just responded to when the USA sent armed naval vessels to the sea. For China it was just a case of self-preservation. Critics counter that China through its island building is creating facts on the ground to strengthen its territorial claim. How does that compare to basing a territorial claim on bird droppings as the US has done in the mid-Pacific Ocean? And what is the entirety of the US but a fact established on Indigenous people’s ground? That the US, Canadian, Australian, and G7 criticism of Chinese actions in the South China Sea are mired in hypocrisy does not mitigate or support China’s claims in the South China Sea. Tu quoque arguments while undermining the integrity of China’s detractors, do not, however, buttress China’s claims to the territory. China’s territorial claims which needs to be judged on their merits. It would be advisable though that China take into consideration the aspirations of its neighbors and act accordingly. To this end, China does seek bilateral discussions with all nations. What does justify Chinese actions is the US militarization of waters that are unconnected to the US mainland or offshore territories. China has been ringed by US military bases. China is aware that the US cut off oil to Japan during WWII stirring up tensions leading to war, and that the US has used embargoes often since then to try and strangle those nations it labels foes. The South China Sea is a vital transportation and trade route for China. Furthermore, China is keenly aware of the foreign humiliation of a weak China in the 19th century and later the role played by the US in the mainland’s political separation from Taiwan. Where China really sets itself apart from the US and the US interest is that for China, it is not solely about the China interest. It is about the interest of humanity. If Chinese sovereignty in the South China Sea is devoted to peace and common prosperity, it seems China should be given a chance to prove itself. It seems a hell of a lot better than the destruction that the US has brought to Iraq, Afghanistan, Libya, Honduras, Haiti, Syria, etc. Kim Petersen is a former co-editor of Dissident Voice.